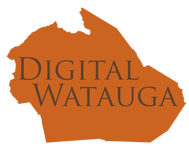 The Farthing-Glenn Collection consists of 19 historic images of scenes in Watauga County, NC, including several scenes of the 1940 Flood in Valle Crucis, NC. 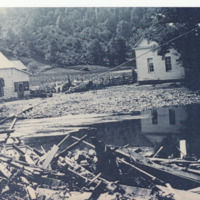 The collection includes several images of members of the family of William Judson Farthing (1867-1951), as well as two images related to the Johnson School. 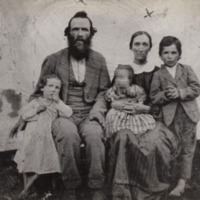 Digital use rights to the images were donated by Mary Hazel Farthing Mast (b. 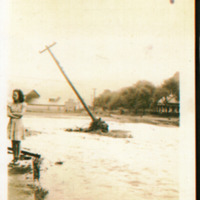 1927) of Valle Crucis, NC. 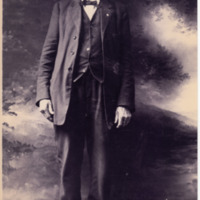 Portrait of Marshall "Pappy" Greer, who died in 1927 at the age of 86. 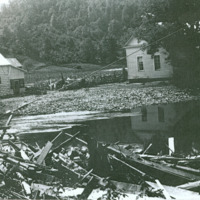 Scan is from a modern reproduction of the original image. 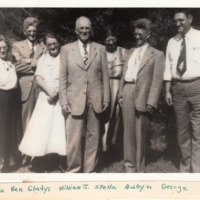 Portrait of L-R: Delia, Ben, Gladys, William Judson, Stella, Aubyn, and George Farthing. 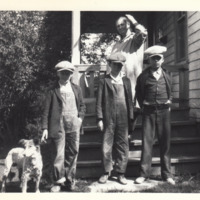 Scan is from modern reproduction of original image. 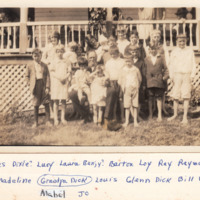 List on front of photo confirms names as listed. 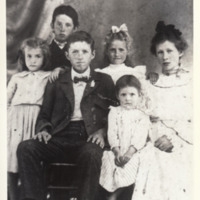 Portrait of L-R: Gladys, Aubyn, Ben, Delia, Elsie, and Stella Farthing. 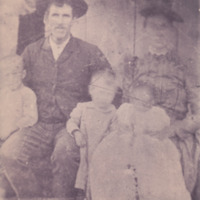 Scan is from modern reproduction of original image. Listing on back confirms names as listed.